Mrs. Armitage of Slough sent us the following photograph asking us if they were Glis Glis droppings. 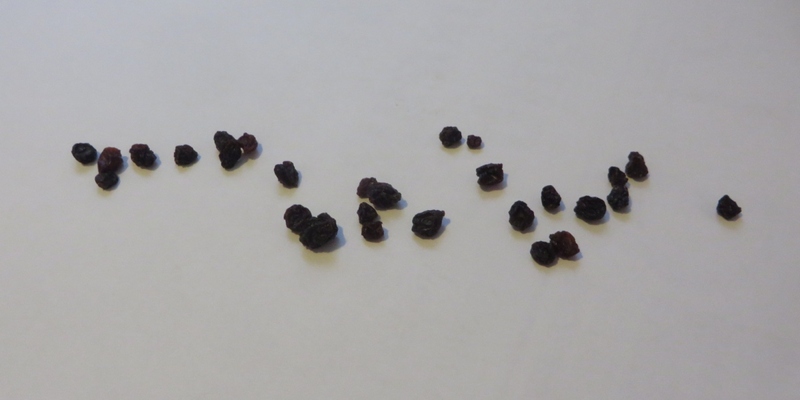 On initial inspection they do look like Glis Glis droppings but after testing some of the samples which Mrs. Armitage included with her photograph we are pretty sure they are in fact currants. Glis glis droppings, glis glis poo, glis glis droppings look like.